Armored Core V, the latest mecha title from Demon's Souls studio From Software, looks fantastic. Fans can't wait to play it, but they're going to have to. The game's release date is no longer October 20. 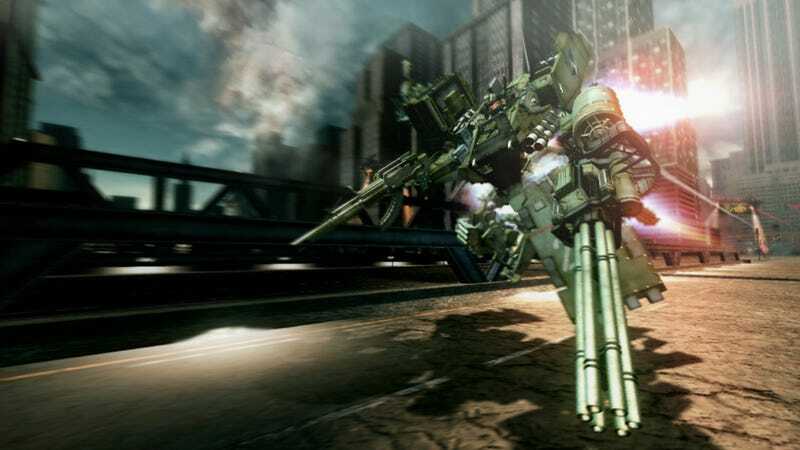 Instead, Armored Core V is slated for release on January 1, 2012 in Japan. The reason for the delay is that Form Software hoped to incorporate things it learned from the beta into the final version. The game's PlayStation 3 beta, which was knocked back because of the PSN hack, concluded in July. Armored Core V Closed Beta Delay. Guess Why? A bug, however, was discovered in the Xbox 360 beta test, something From Software is investigating. ACV is more tactical than previous AC games, and features a new spin on online mecha play. Besides Armored Core V, From Software is working on the eagerly awaited Dark Souls, a spiritual sequel to Demon's Souls. Have a gander at Armored Core V's eye popping mechas and cutscenes in this clip.